Summer's best friend is the berry! These days, Luscious, red, juicy and bursting with flavor berries are available year-round - what's not to like? What's more, whether you grow your own berries or depend on the farmers who grow berries for Driscoll’s, you know that they are not only at their best but plentiful too. So the next time you're at the market, pick up a few extra clamshells of Driscoll’s berries for a yummy DIY strawberry jam. It's easy and when you do it yourself you can personalize it with subtle nuances of flavors that take your jam from comfort food to gourmet. What's best is that you made it yourself! 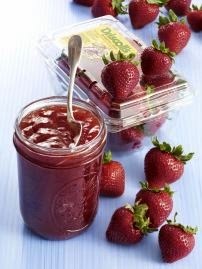 Combine the strawberries and sugar in a large, nonreactive pot; enamel or stainless steel are best. Let stand for at least 20 minutes, up to two hours. Stir the contents of the pot well, and put over medium-high heat. Add the lemons, pectin and butter. Stir frequently, taking care not to burn the sugar. Bring to a boil and maintain a rolling boil. Skim away any foam that forms; if there is too much foam, add a little more butter. Once a boil has been reached, take the temperature with a quick-read thermometer. Continue boiling and stirring until the mixture consistently reads 220ºF. Turn off the heat. Remove the lemon slices. 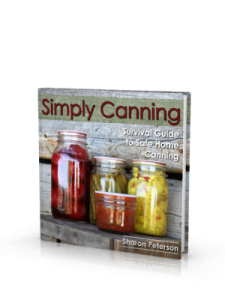 If canning, process immediately (see On Canning, below). Otherwise, allow to cool, then pack in jars and refrigerate, or freezer-safe containers or bags if freezing. For an extra berry punch, replace some of the strawberries with an equal amount of Driscoll’s® organic raspberries, blueberries or blackberries. As a rule, fruit preserves can be canned using the water-bath method. Water-bath canning is not difficult, but it does require attention to detail. You’ll need some specific equipment (see Equipment, below), and you need to make sure your jars, lids and utensils are well sterilized. Most of these items, as well as a variety of jars, lids and rings, are readily available in most hardware stores, as well as some grocery stores. * You can often find kits that have all these elements together, rather than purchasing them separately.